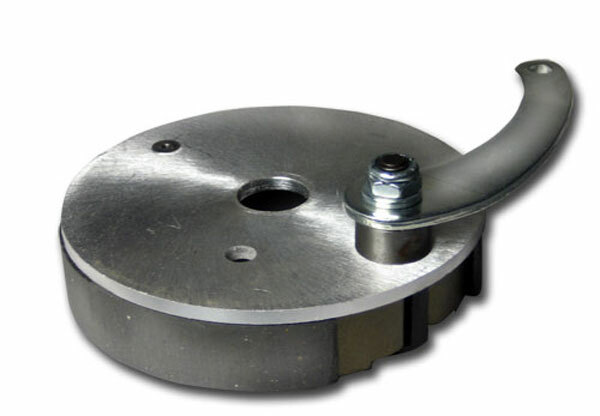 This is a 4-1/2" Azusa backing plate. It is sturdy, lightweight and economical. Three actuator arm choices available: right offset, left offset or straight. Right offset is most commonly used. The left and straight setups are used in specialty purposes.